Twinings are a leading manufacturer of high quality teas with over 300 years of history at their site in Andover, Hampshire. Will Fallon (Area Sales Executive – South West) visited the site to undertake a detailed survey of their cleaning requirements. Will recommended a refurbished Sweepmaster B900 R for the warehouse as the site had dust and debris problems from the pallets and fork lift trucks. 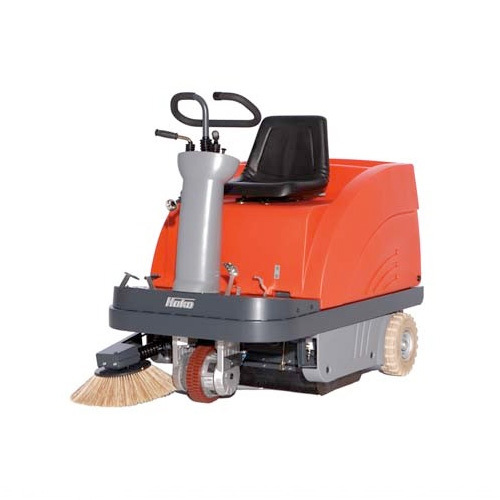 The Scrubmaster B115 R was an ideal machine for the site as they required a scrubber-drier to cover a large area in a short cleaning window with a good scrub width and tight turning circle. “We were already using the Hako brand so were sure that the new machines would also meet our requirements. The after sales care has been good with all questions answered and matters dealt with. There has also been a good response to all service and repair requests. Overall I am very satisfied with both the sales and service sides of Hako”. For more information about our range of cleaning solutions please call us on 01788 825600 or visit our website.